The Froda's Dragon-Tooth Pendant is part of Alchemy's Metal-Wear collection. 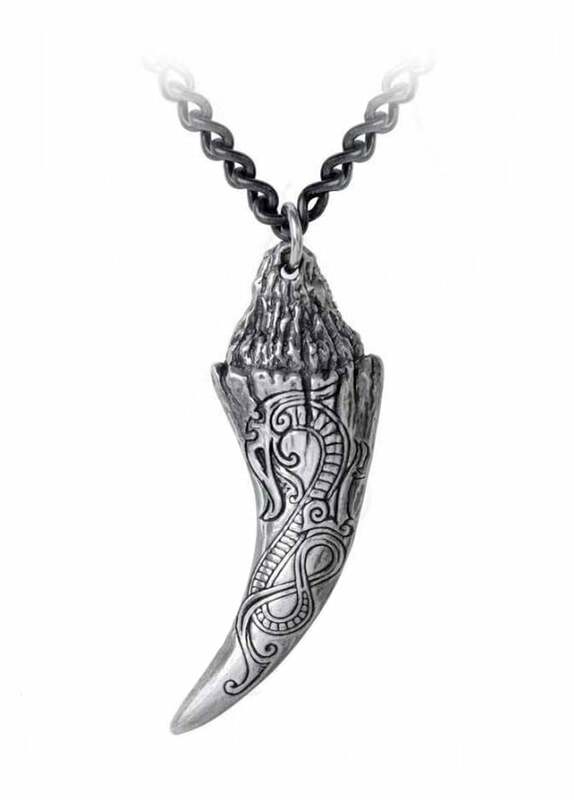 The antiqued and partially polished pewter dragon's tooth pendant is engraved with a knotwork dragon in Viking-Celtic style and hangs on a black curb chain. Proof positive of the former existence and the subsequent demise, under Froda's battle sword, of a thunderous Scandinavian dragon, a tooth from which was pulled and engraved with the evil beast's likeness. The back of the tooth is carved with a typically Viking depiction of the hero Froda.